We're going to see Samite Mulondo, also known as Samite of Uganda, on March 1st at the Kirkland Performance Center! 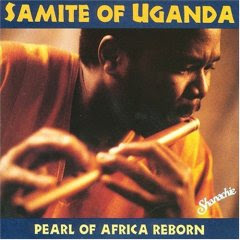 He is a Ugandan flute and kalimba player. Emily and I have loved his music ever since her mother gave me this album (Pearl of Africa Reborn) after she saw him in concert. We're looking forward to introducing the kids to his music. Although he lives in the US now, this is the first time I've known him to be playing near me. If you live in the Seattle area, I recommend it (there were empty seats).